11.11% of people buy Harry Potter: Golden Snitch Pocket Watch Necklace and The Unofficial Harry Potter Spellbook ~ Paperback / softback ~ Duncan Levy. 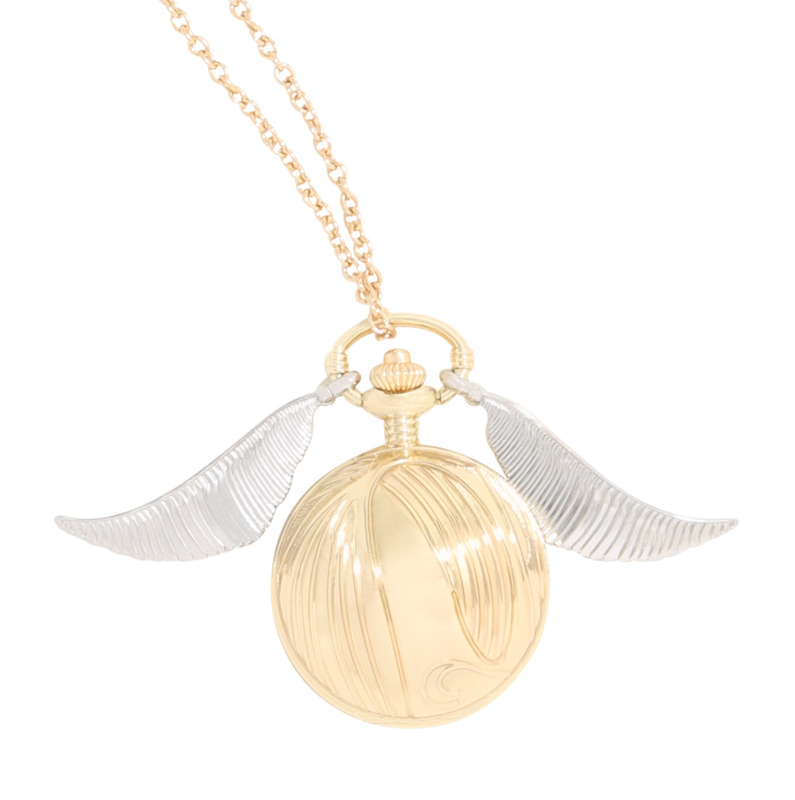 From the Harry Potter world comes this Golden Snitch Pocket Watch Necklace! 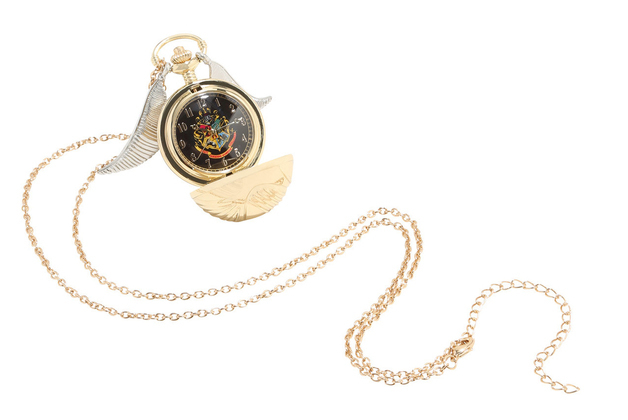 Shaped as the unforgettable Golden Snitch, this domed shape watch features wings on either side and a button on the top to allow the cover to open. 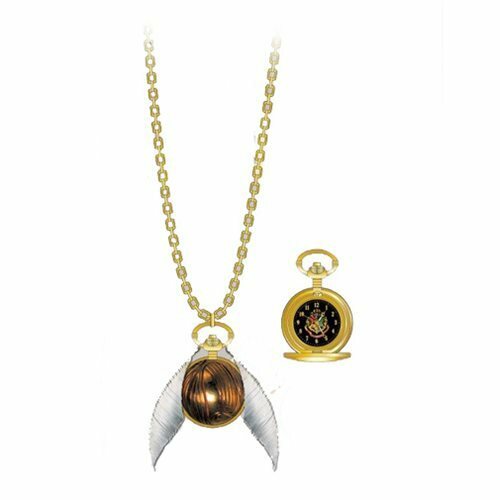 The chain measures approximately 30-inches long with a 4-inch extension chain.